Judith Griffin now lives in New Jersey, but her family would drive from Chicago to Idlewild resort in Michigan every summer. Griffin recalls one trip where her father—one of the few black gastroenterologists at that time—pulled over to save the lives of motorists in a very bad accident. 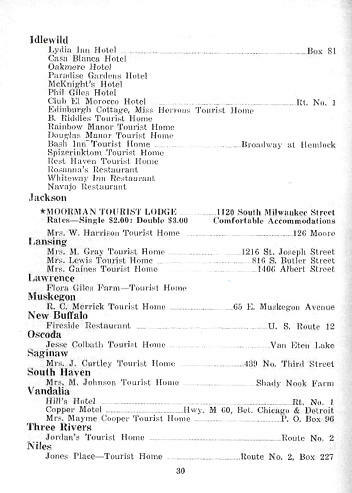 Because of discrimination, families like Griffin’s were forced to use what was called “The Green Book.” It was a directory of stops that would serve African Americans on the road. The Gilmore Car Museum has a new exhibit on this book, including a copy from 1956. 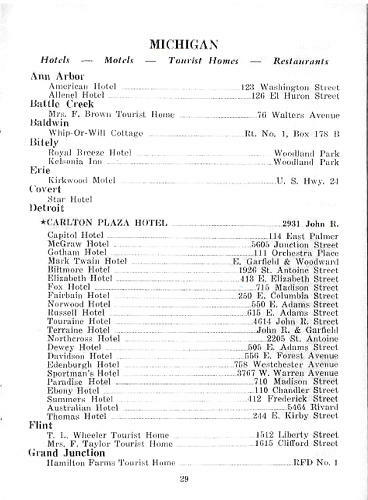 In it, the Michigan locations only take up one page front and back. Michael Spezia is the executive director of the Gilmore Car Museum. He says many African Americans were forced to pack their cars to avoid making stops on trips. “If you were traveling say from Chicago to New Orleans, I mean that would be—back at that time there were no interstates—that would be at least a three or four day trip. So they had to bring enough food to carry them all the way," says Spezia. Because her family was more affluent, Griffin says her father usually found better lodging on his long trips. He would often go to the South where they needed physicians to care for black patients. “He usually stayed with a family and often it was the…if there was historically black college, he would often stay at the president’s house,” says Griffin. Spezia says about the only gas station available to black Americans in the country was Standard Oil, owned by John D. Rockefeller. Rockefeller’s wife was a strong abolitionist. “We’re all convinced—though it doesn’t say it specifically anywhere—that she influenced her husband to open up Standard Oil, or what was called Esso at that time, to black business people," Spezia says. Spezia says the museum hopes to have the exhibit open for several years to come. It features video accounts from Griffin and others about their travel experiences. Griffin says many people do not have the full picture of what being black was like before the Civil Rights Movement. 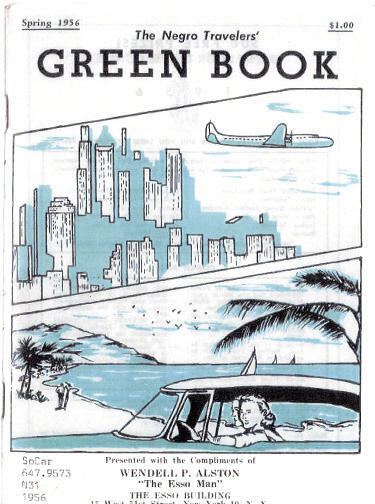 You can see the Green Book exhibit at the Gilmore Car Museum. The museum is open most days from 9 a.m. to 5 p.m. 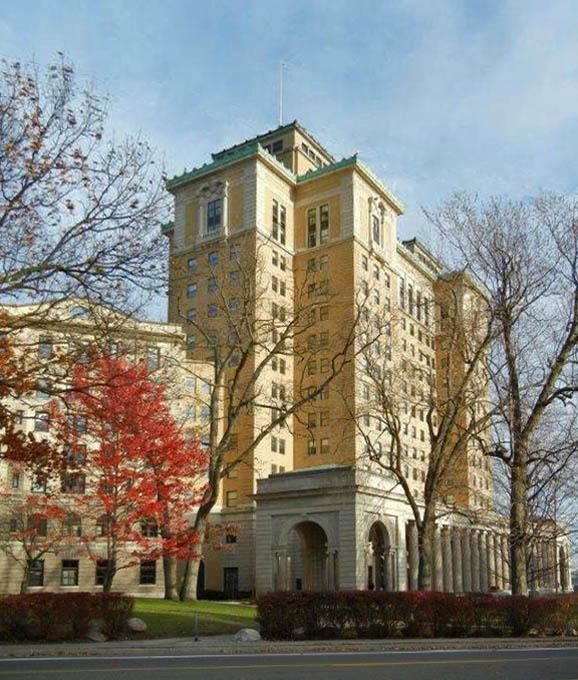 The Hart-Dole-Inouye Federal Center building in Battle Creek is mainly serves as offices for the Defense Logistics Agency which provides supplies and services to U.S. military forces. The building has a colorful history and is on the National and State Register of Historic Places.